In April 2012 we worked with visitors and members of the Isles of Scilly Archaeology Group, in a Shorewatch project. Shorewatch is a Scottish initative that encourages and supports community groups to survey coastlines and monitor eroding archaeological sites. The idea for an Isles of Scilly Archaeology Group has been around for some time. 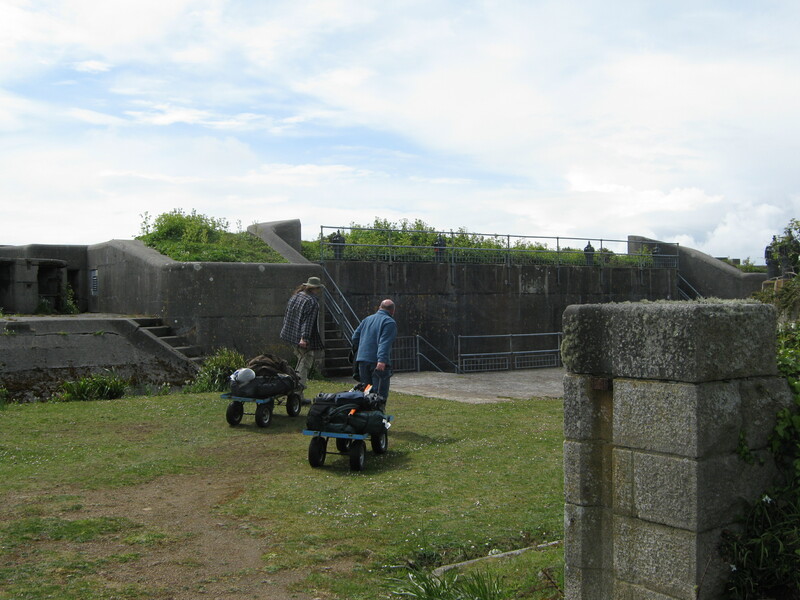 In 2011 Charlie Johns (Historic Environment, Cornwall Council) lead a series of introductary archaeological skills and training events (funded by the Isles of Scilly AONB Sustainable Development Fund) at which the impetus to develop a Scillonian Shorewatch scheme emerged. As part of the Islands in A Common Sea project Cardiff University funded three archaeologists (Ian Dennis, Jacqui Mulville and Charlie Johns) to host Shorewatch@IOS. We provided training for the IOS Archaeology Group in the recognition and monitoring of eroding coastal archaeology. We are working in partnership with the Council for British Archaeology South West, the Isles of Scilly Wildlife Trust, the Tourist Information Centre and the Isles of Scilly Museum. We are also partnering with the SCAPE trust (Scottish Coastal Archaeology and the Problem of Erosion) who have developed the highly sucessful Scottish SHOREWATCH program and winner of Current Archaeology’s Rescue Dig of the Year 2012. The role of the sea in creating, shaping and eroding the islands has fascinated archaeologists for years; from the submerged hedges and ruins identified by Crawford, to the Charles Thomas’s ‘Exploration of a Drowned Landscape’ right through the continuing English Heritage funded Lyonesse Project that is providing new information on the rate of rise in sea levels from intertidal and submerged peat deposits. This event will benchmark the sites identified in the Coastal Eroding Project in the early 1990′s and provide training in the recording, identification and monitoring of existing and new eroding sites. Over the course of the weekend we visited four islands and found new evidence for the earliest inhabitants of the islands. You can follow our adventures – and our encounter with Ray Mears here.